I don't know if I'll be hosting Thanksgiving this year but I want to be prepared just in case. This week's Must Make List is dedicated to the decor I'd like to make for my table! 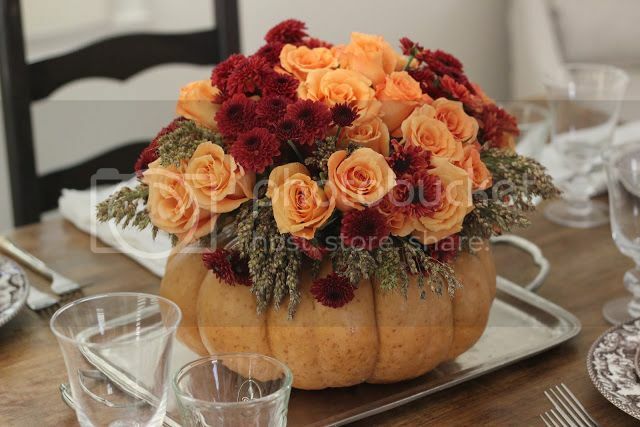 Jenny's pumpkin centerpiece is one of the nicest ones I've seen floating around Pinterest. I love the autumn colors of the roses and mums and the casual feel of the centerpiece. I think it'd look great surrounded by some turkey and 'tatoes! These horse place card holders Cassie made would look great gracing our tablescape! The creature and color can be customized to fit your needs. It'd be cute to cut a slice in the top of a turkey's tail feathers to hold the place card! Remember to pin from the original sources! oh hey! thank you so much for the shout out!!!!!! you rock! :) have a great day! Love the place card holders, sounds like your kinda project. 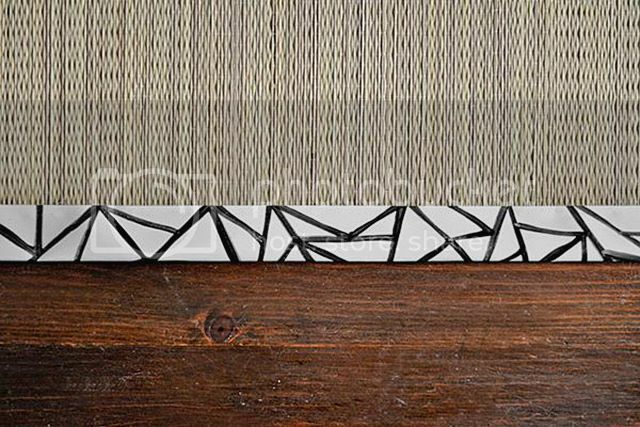 Bamboo table runner... why didn't I think of that!! Such an easy upgrade. I love Cassie's place card holders! That table runner is so you!! 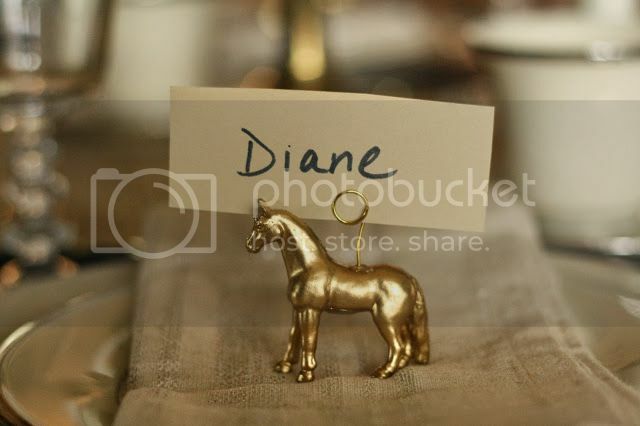 I love Cassie's gold horse place card holders! That table runner is awesome! And I love Cassie's little place card holders! Great list and most certainly doable! I cannot wait to see it all together desert domicile style. Love the border on that runner!! And Cassie's place card holders are adorable!